Will you believe us if we told you that some of India’s most successful startups in fields as diverse as Robotics, Wild-Life Tourism, Fashion and Cosmetics, Wealth Management, Packaging, etc have something in common? All their founders completed their MBAs from the same b-school – IMT Ghaziabad. IMT Ghaziabad has a strong alumni base of 9900 plus and more than 400 of them are successful entrepreneurs. 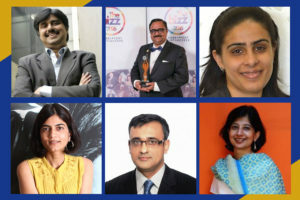 In this special two-article feature series on IMT Ghaziabad, we bring to you the top 20 alumni entrepreneurs (10 in each article) of IMT Ghaziabad who chose to take the entrepreneurial route and have made it big! We all love the Robert Frost’s poem on ‘The Road Less Travelled’ and yes, it could make all the difference. But sometimes, just sometimes, the road that is travelled, often can also make all the difference. IMTG is perhaps the only B-school which has a mandatory six-week immersion with startups for its students. It also offers a full-fledged specialisation in Entrepreneurship. The curriculum is designed to give students a plethora of opportunities while imbibing skills of innovation, design thinking and critical thinking. Let’s take a look at the first 10 of the top 20 IMTG alumni entrepreneurs. Rajeev Karwal is the Founder of Milagrow HumanTech and Milagrow VentureCatalysts. He founded the first company in 2007. Milagrow Humantech makes India’s Number 1 Domestic Robots and most Innovative Tablet PCs called TabTops. Milagrow VentureCatalysts focuses on providing end to end consulting solutions to MSMEs. Prior to founding Milagrow, Rajeev has successfully worked with Indian and Multinational organisations in India and abroad. He was associated with some of the biggest successes of 80s and 90s, namely Onida and LG. He redefined the advertising and distribution rules at Onida. The devil as the mascot and the ‘Neighbour’s envy, Owner’s pride’ positioning sustains Onida even today. 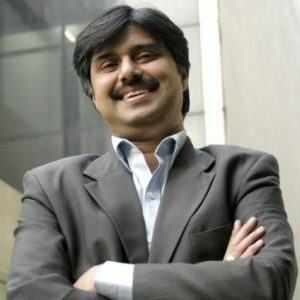 Sanjeev Bhatt is currently the CEO of Radico Fashion Pvt Ltd. He founded the company in 1992 with almost zero money and with a mission to promote complete body decoration in the international market. Sanjeev is also a member of the board at Department of Business Management, Indrapastha University, New Delhi as well as a regular motivational speaker to MBA Students. 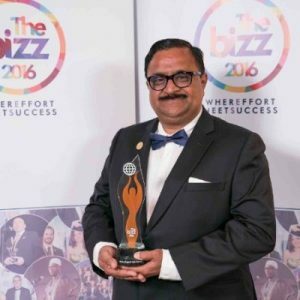 His company has been awarded Best Regional Enterprise for Natural and Organic Cosmetics and Business and Business Leader Award in Natural Cosmetics Category in 2016. He has also been awarded the Arch of Europe Award in Germany in 2002 for high-quality products and highest customer satisfaction globally. Kanika is the Founder, Mentor and Director at VegaLyfe.com. Vegalyfe.com is India’s first online store for Vegans, vegetarians and to support healthy living. Vegalyfe.com offers over thousands of pure vegetarian, vegan, organic & herbal products, right from chemical or pesticide free and naturally grown pulses, rice, wheat, spices, cereals, vegetable oil to latest non-leather fashion collections – Vegalyfe.com offers it all. She is also a Volunteer and Co-Founder of Education Center for Slum Kids- AID India. Ishita founded 9Rasa in the year 2009. 9Rasa celebrates the essence of the modern Indian woman which is vibrant, glowing with promise, and grounded in her traditions as well. It brings to her the finest offerings, to complement her every mood and facet, and to revel in her unique persona. 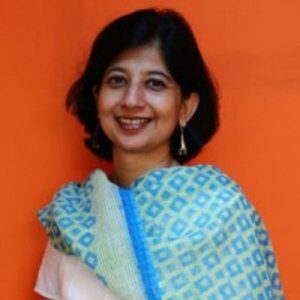 Before launching 9Rasa, she founded Orion Dialog Pvt Ltd in 1994. Amit Sarup founded the company Family Mentor Investment Advisers LLP in 2014. FMIA LLP is a boutique independent advisory firm which provides a new alternative to wealthy individuals, families and trusts to integrate and optimise the management of their wealth and business affairs. The family office model operates in a manner which is totally unbiased and aligned completely with client interest at all times ruling out any kind of vested interests. Prior to founding the company, he was a member of the Religare Enterprises management and spent over eight years with the group. He set up and led the Religare Wealth vertical and subsequent formation of JV with Macquarie. He launched the private equity business with a JV with Milestone group for the India Build Out Fund. Amit Banga is the founder of SB Packaging. It was founded in 1993. SBP (S. B. Packagings Ltd.) was promoted by a group of professionals with Private Equity participation from the Reputed Investors. In the year 2002, a Food and Hygiene Division was added. The latest technology of Flexo-printing and Solvent-less lamination was adopted. This was the preferred process to print Polyethylene and manufacture packaging worldwide. After adding this process, SBP reaffirmed its market leadership in Printed Polybags in the country. It became the one stop shop, producing polybags and laminates printed in both gravure and flexo, solvent-less lamination, extrusion coating, hot melt coating, a variety of poly bags, pouches, etc. 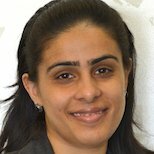 Madhulika is currently a Director at TriEdge Solutions. 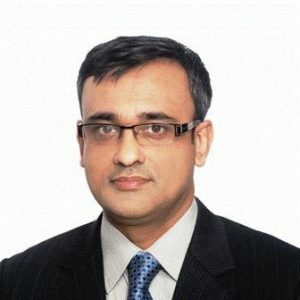 With a foundation built on more than 15 years of extensive talent search and acquisition experience, TriEdge in partnership with TimesJobs, is India’s 2nd largest job portal offers a unique and holistic Recruiter Skill Certification for IT and non-IT recruiters across. The organisation also develops and delivers creative Training Interventions for capability enhancement. Working with individuals, corporates and management institutes, we currently offer interviewing skills, effective team management, financial acumen and business communication programs. Prior to TriEdge Solutions, Madhulika was a Director at Mirus Solutions. 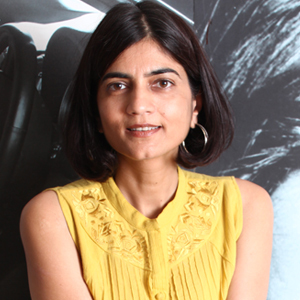 Earlier to that, she held senior positions at Standard Chartered Bank and Goodlass Nerolac Paints. Vikram founded Wild World India in the year 2006 with a vision to bring together a network of nature experts to help promote Indian wildlife through sustainable eco-tourism practices. Wild World India strives to stimulate an interest and help develop an understanding of the rich natural heritage of the Indian subcontinent. The company believes in working closely with identified network of local naturalists and guides, the ‘insiders’ who have the knowledge to make the wildlife experience both exciting and enriching. 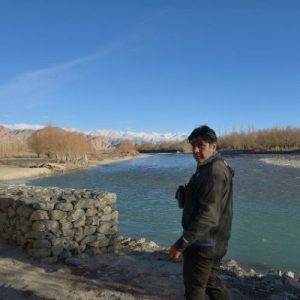 Having travelled extensively through the country, Vikram has personally researched all the trips that the company promotes and continues to develop potential wildlife tour destinations. He also heads the Business Development and Strategic Planning at Wild World India. 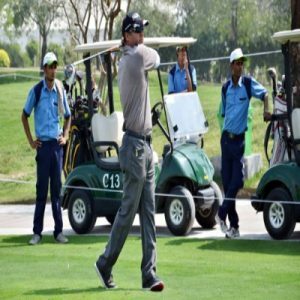 He has facilitated the Mahseer Conservation Society near Corbett Tiger Reserve to help develop Uttaranchal as a premium sport-fishing destination in Asia through an integrated approach involving the local community and has been a part of Kids for Tigers, the country’s biggest school awareness program on Tiger Conservation. 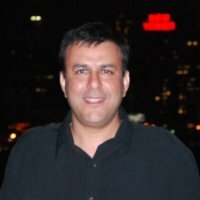 Anshul is the CEO and Founder of allsports.in (Venture Sports Pvt Ltd). The company that was founded in 2013 strives to get all sports lovers together to play and keep their sporting ability active and alive. The services are framed around a marketplace model, where they propose to bring all the stakeholders related to sports in India on a single platform to ensure an uninterrupted flow of information. Prior to launching his own company, Anshul has held senior positions at numerous companies like Soma Facility Management Ltd, C1 India Ltd, and Aqwa Telenet Pvt Ltd amongst others. 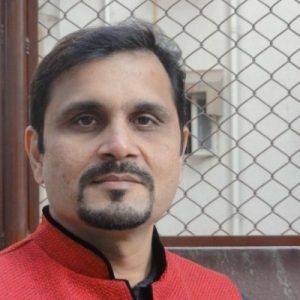 Manish is the Managing Director of DreamSpace India since 2009. The company has completed over 750 projects of a diverse nature in the field of Interior Design, and Project Execution and Management. DreamSpace is an interior designing firm with an expertise in commercial office, retail, hospitality, healthcare, medical centres and lab, education/training institutes and designer homes. Prior to launching DreamSpace, he worked at Dimension Data where he helped a $2.8 million business to $20 million in three years. He has also worked at Ramco Systems, Global Telesystems, Tata Motors, etc. You have a choice to make. The road diverges here. Are you going to take the road less travelled or take the route that these 10 (+10 more) superstar entrepreneurs took and made it big? As William L Bergenstein once said, “Don’t take the road less travelled. This is terrible advice. Take the roads that are well maintained. You’ll get to your destination faster and it won’t be so hard on your car. Trust me – your car will thank you for it.” IMT Ghaziabad is the road well maintained. These alumni prove that.